I handle complicated insurance coverage disputes on behalf of the insured (policyholder). Insurance is complex and nuanced. Determining what is covered, what is excluded, and what is excepted from an exclusion in an insurance policy is not an easy feat. The key is knowing your rights and preserving your rights under an insurance policy, maximizing your rights to insurance coverage, and, quite frankly, accepting when you may not have insurance coverage. This requires an understanding of numerous considerations applicable to an insurance policy, undertaking the right analysis, and couching any argument to put you in the best position possible when it comes to insurance coverage. Due to the complexity of insurance and my experience representing insureds (policyholders), my model allows me to explore innovative attorney’s fee arrangements based on the dynamics of the issue outside of the traditional hourly billing model. While I maintain a competitive hourly rate and work with clients in preparing budgets and controlling costs, I also work with clients on innovative attorney’s fees arrangements where the focus is performance, the result, and the client’s budgetary concerns. An innovative fee arrangement is catered to the client’s specific objectives. I am willing to present alternative options to a client for consideration and discussion to determine if a compatible innovative fee arrangement can be established that adds value to a client. 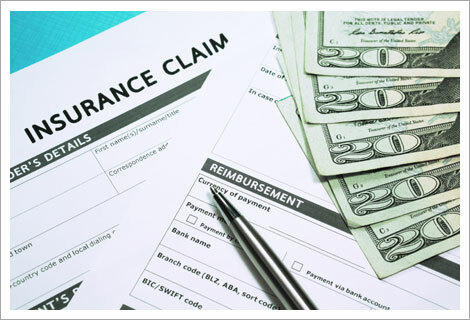 Let me represent your insurance coverage interests and provide you a value-added solution to your claim or problem! If you are interested in learning more about innovative attorney's fee arrangements outside of traditional hourly billing, check out my ebook on this subject.